A man crossing 12th Ave was struck by a white pick-up truck traveling south on the arterial route late Sunday night. The driver of the pick-up sat on his tailgate and waited as police cordoned off the street for an investigation of the incident after the ambulance and emergency vehicles had left the scene. In front of his truck, articles of clothing and blood could be seen on the pavement. People with cars parked inside the police tape waited for permission to either move their cars or collect their possessions and walk home. The condition of the victim could not be confirmed. We’ll check with SPD and the fire department for more information in the morning. The truck had obvious front-end damage and a cracked windshield. 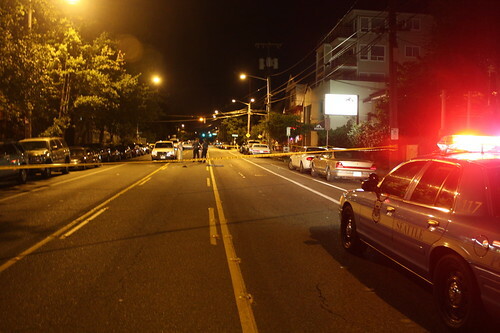 It was parked well south of one of 12th’s crosswalks at the Denny intersection but it was not clear where on 12th the man was first struck by the truck. The incident occurred just after 11:30 PM. Thanks to @liquidnight for the tip. See something others should know about? CHS@capitolhillseattle.com or call/text (206) 399-5959. 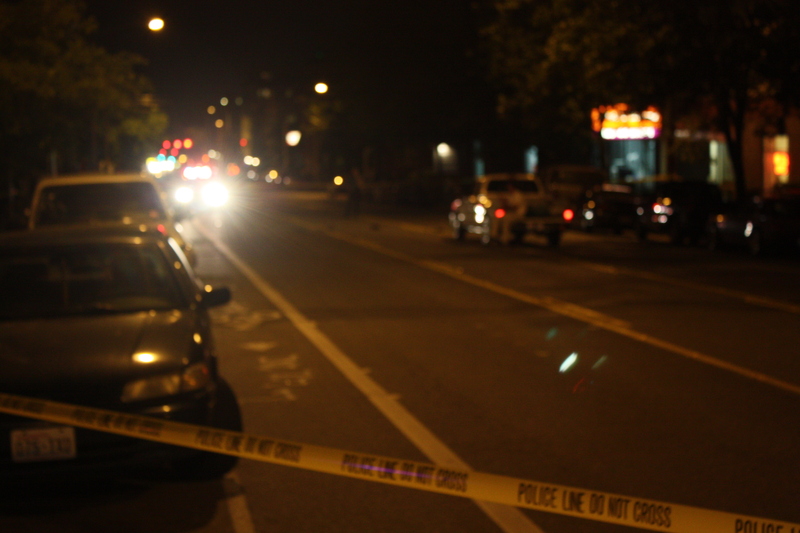 We’ve confirmed the details of last night’s incident with SPD and have better news than expected to share. SPD tells us the 29-year-old man who was struck was transported from the scene with serious head injuries but that his condition was upgraded and that the injuries are not considered life-threatening. The department’s preliminary investigation indicates the 29-year-old was crossing 12th Ave mid-block and not in a crosswalk when he was struck by the pick-up truck. The truck’s driver was interviewed at the scene but it was determined that he was not under the influence of drugs or alcohol. Thank you for finding out what happened so quickly and for the update this morning. It was a pretty grim scene out there last night and there was still dried blood on the road this morning. The police remained on the cordoned off scene for hours documenting and gathering evidence. I was surprised and very pleased to hear that the injured party’s status has been upgraded.